Athletics play an important part in student life at Ricks Institute. Whether as a participant or spectator each student experiences a sense of pride, excitement and accomplishment. 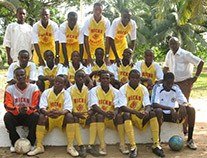 The Ricks Dragon (the school mascot) belongs to the Inter School Sport Association League (ISSA), a highly competitive group of schools in and around Monrovia. Over 50% of the student body actively participates in our extensive sport program involving various teams. Ricks Institute has had phenomenal athletic success in the past years capturing more league titles than any other league school over the years. 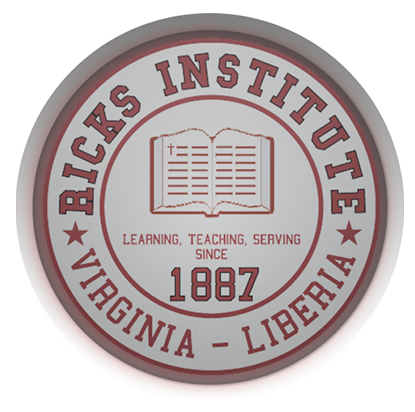 The school, in the past, sponsored the classic Ricks Olympics, which drew schools from around the country of Liberia to Ricks campus in Virginia, Liberia. In the near future, the Athletic Department, through the support of the Ricks' administration, will recommence the Ricks Olympics. 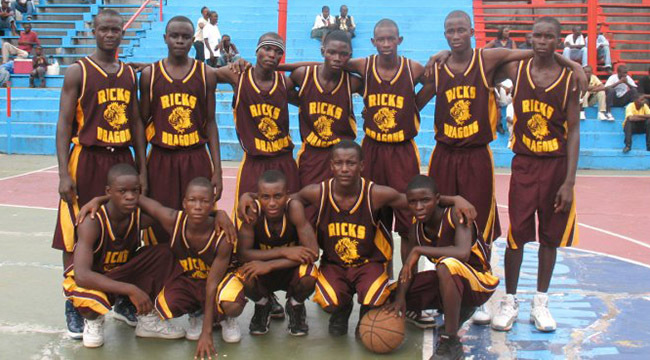 The Ricks Dragons’ phenomenal success in sports is due to the quality of an experienced coaching staff and the overall enthusiastic response of our student athletes. Our head coaches are educators and as such, realize the primary importance of performance in the classroom. The discipline and respect generated in the academic area, along with the spirit and enthusiasm of hundreds of students have resulted in a competitive and highly successful athletic program at Ricks Institute.